If you happen to walk in an old church, you are bound to be impressed by the majestic building and the works of arts. The church organ often adds to oversized towering walls, giving you a sense of the grand design of the universe. The church in earlier times was patronised by the Kings and Queens. Their budgets were much higher. While the church has become a more peoples place, huge instruments threaten to become extinct. They are a major investment for any church, and its financing is a valid consideration. There are advantages in leasing an organ, given today's economy. Fact that you can lease may actually make a difference between the church owning one or not. They are nothing like a person digital organ that you may find in a home. They cost a lot and need to be maintained. With the leasing option, the church would be able to buy one that will fit its needs. Click Here to view our range of new & used organs for sale. Buying a church organ outright has its advantages. There may be a cash discount that is otherwise not available. Cash is king in these tough economies. The church may also be able to purchase a second hand organ from someone who cannot provide financing. Genuine second hand sellers are normally private owners, even another church, who cannot finance the transaction. Second hand retailers are able to lease used organs. They procedure of leasing is pretty much the same except as if you were buying a new organ. They are normally high quality products that cost a fortune when new. The reverse side of this coin is also true. 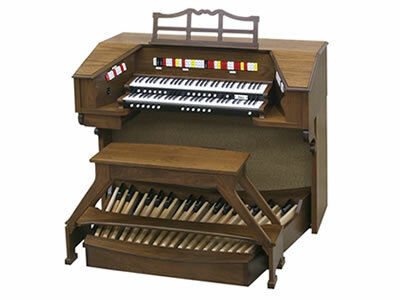 If you are going to buy a church organ, opt for a branded organ. The quality of the organ will help you in selling it at a later time, should the need ever arise. Leasing one will ease the immediate financial burden. Most lease come with a maintenance and care package that you can opt for. There are plans with zero down payments which again go a long way to enabling the church to acquire one. Some companies also offer lease to own and rent to own plans. When these plans expire, the ownership transfers over to the church. This is a much preferred way to buy something that you know you want to own. Church organs are bigger than life instruments that lend to the magnificence of the church. Since they cannot be transported easily, groups of people need to gather around the area. They can bring people and communities together. It is advisable to acquire a church organ either by lease or direct purchase. The lease will increase the long term commitment but ease the immediate financial load. Second hand organs are a real alternative that you should consider. When buying, always choose established brands. This makes it easy to resell them.